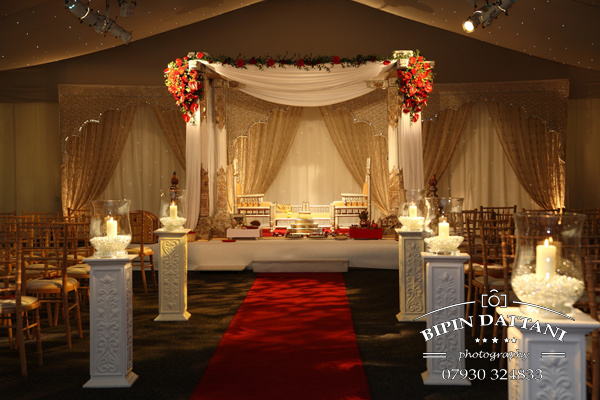 In Asian weddings the mandap is a canopy under which the marriage vows and ceremony is held. The priest will perform a series of rituals and customs signifying the union of the Bride and Groom who will become a newly wedded couple as per the Vedas – oldest Hindu scriptures. Indian families follow different traditions when choosing in the mandaps, some will have traditional wooden curved, or fresh flowers, or gold or, white or silk draped. Primarily they were meant for the wedding ceremony only, however in modern times they are used for conducting pre-wedding functions / events as well. These vary depending on company to company and how exclusive the bride wants her wedding day to be. In the western culture the bride will choose the wedding flowers to set the theme of the wedding, similarly an Asian or Indian bride & groom will select the mandap they will get married in. 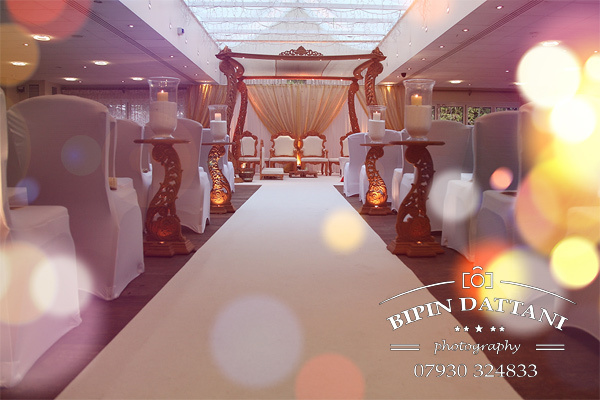 Obviously costs vary depending on the range they offer and how you wish to customise it for your wedding day. 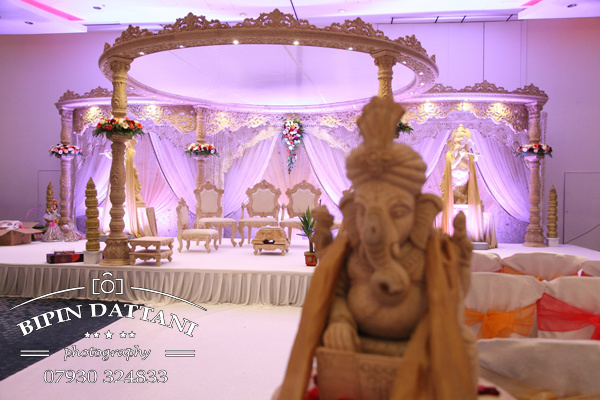 As such the best Indian mandap companies in London charge thousands, but there are cheaper options also. So the bottom line here is for the best mandap hire cost and prices you will have to ring around.